When people are about to invest in a new mattress, they mostly wonder how long it is going to last? This is a question you should ask mattress experts while doing a mattress shopping. A good mattress can cost you between $150 and $4000, depending on your needs, personal choice and budget. Regardless of how much you pay, buying this bedroom item is a significant investment and you should at least try to buy the best. How long a mattress will last depends on its brand, construction and more. Even today, there is no accurate answer to how long should a mattress last. The lifespan of any mattress depends on how long it will maintain its shape, and support and comfort properties. Sometimes it lasts only about 3 or 4 years, while for the luckier (and smarter) buyers it can be up to one decade. On average mattresses that cost over $150 should last at least 6 to 7 years, but depending on the daily “abuse” they withstand, their lifespan may vary. Not using a mattress topper or using a new mattress with an old box spring can significantly affect its longevity. A recent study by a team of researchers in Oklahoma State University reports that the quality of mattress determines the quality of sleep in people. Necessary and timely replacements of all kinds of mattresses stimulate restorative sleep. 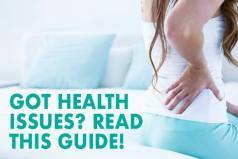 Older mattresses with broken innersprings or multiple saggy spots often cause back pain. In fact, a constant use of a mattress that does not offer a necessary comfort and support to the sleeper can increase the chances of spondylosis and lumbago. Sleep is possibly the most essential “chore” we perform every day. Without approximately 7 to 8 hours of restorative sleep, your body and mind functions can deteriorate over time. Sleeping on the right type of a mattress will not only improve your joint health, but it will also improve the functioning of your brain for the next day. So, we need sleep to restore our lost energy and overcome the immunity challenges. That is why it is important for you to know how long can a certain type of a mattress last before you make your next big purchase and get a new mattress. What Are the Signs That the Life of Your Mattress Has Come to an End? What Can Prolong the Lifespan of Your Mattress? What Warranties Say about the Lifespan of a Mattress? The high-end mattresses have an average lifespan of about 7 to 10 years. Some families claim that their mattresses are heirlooms and have been “excellent” for the last 15 years or so. Our knowledge about the properties of old innerspring mattresses and latex mattresses makes us question their judgment. Even the best of the higher-end mattresses don’t hold their integrity for more than a decade. 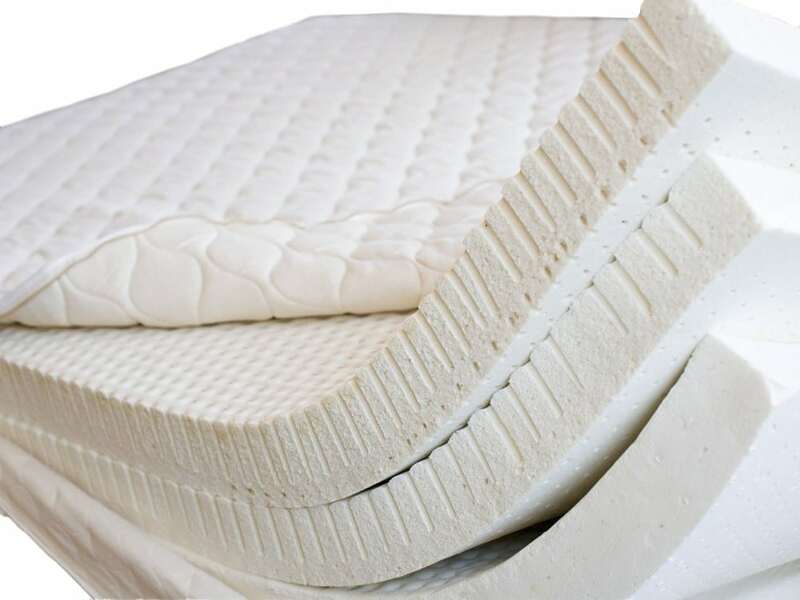 Foam and latex mattresses usually fair better than innerspring and double-sided innerspring mattresses. Let us start with the bed that people love the most. It might be one of the most expensive options for all homeowners, but it is also one of those that last the longest. Memory foam provides the right balance of comfort and support by contouring to your body and creating a cushion-like feel while distributing your weight evenly across the bed and preventing you from sinking too deep into the foam. Memory foam mattresses are ideal for all ages and weights. You may need to flip your mattress once in a couple of months to keep it in shape and it will last at least for a decade. Latex mattresses can be quite diverse in cost and firmness. They are a type of a mattress that lasts the longest. Despite using them regularly, latex mattresses can last for about 15 years. So, investing in a mid-range latex mattress is a smart decision. As one layer of the mattress wears out, you can replace it with a fresh coat. You can keep doing this endlessly and enjoy the same level of comfort and support for the next decade. Most importantly, you can flip each section of the mattress individually to even out the wear and tear on your latex mattress. With the appearance of memory foam and latex mattresses, innerspring mattresses started loosing their popularity. No one shops for innerspring mattresses, unless they have more traditional foundations or slat beds. A large number of the new bed designs can perfectly suit memory foam and latex mattresses without the requirement of a separate box spring. Innerspring mattresses have coil springs on both sides to evenly distribute the weight of the sleeper and provide optimal level of comfort and support. To prevent a Princess and the Pea reiteration, the innersprings are usually thin metal coil springs. Although this mattress type is comfortable due to the use of light coil springs, they quickly lose strength and cause the mattress to sag in places. Even the most expensive of the innerspring mattresses do not last beyond 7 to 8 years in a family home, and the average lifespan of an innerspring mattress largerly depends upon the weight of the users as well. Bloggers and homeowners will often tell you that hybrid mattresses combine the best of both worlds. They are a neat mix of innerspring mattress properties with memory foam or latex mattress traits and they have pocketed coil support core and a comfortable and soft top layer. They provide excellent support as well as the comfort of a soft mattress. Since both the coil layer and the memory foam or gel layer are thin, the wear shows more prominently on these mattress types. The longevity of hybrid mattresses depends on the quality of the core material. Polyfoams add to the support and comfort of these mattresses and extend their lifespan to a certain degree. But, regardless of this, hybrid mattresses do not last more than six years. They might be pricier than the innerspring and latex mattresses, but they will need to be replaced once the bed begins to sag in places. Determining the lifespan of an air mattress is dicey. Air mattresses are suitable for sleepers, who need customizable support. The lifespan of an air mattress depends mostly on its maintenance. It may not be ideal for children or households with pets. The toughness of the outer material’s determines how long it will last. This type of a mattress usually lasts between 3 to 5 years, after which the air starts leaking. They can come with inbuilt air pumps or external air pumps. How long this type of a mattress will last depends on how well you take care of it. Although Hollywood and Rock-n-Roll lifestyle made the waterbeds famous, they are not ideal if you are looking for a solution for your hip and joint pain. Waterbeds are also softer than other types of mattresses due to the lack of a firmer core support and base layer and may not provide the amount of support and comfort you need for a quality and restful night’s sleep. Futon mattresses are very common in the East Asian countries. They have the shortest lifespan of all types of mattresses and with the proper care they can last up to 5 years. This mattress type lacks in comfort and support, and is not suitable for children or the elderly. Therefore, futon mattresses are not considered to be smart investments, and you can get one only as a backup for your guestroom or your bedroom cot. There is no accurate answer to the question how long a certain mattress will last. How long a bed will last depends on multiple factors, and here are a few of them that you need to take into account when estimating the lifespan of any mattress. The lifespan of a mattress in a large measure depends on its usage. The more you use your mattress, the shorter its lifespan will be. If you use it in the wrong way, and if you don’t clean it regularly, it will get damaged fast, and it will not last for long, no matter which type you own. It is not uncommon for many people to eat and drink in bed, especially if there is a TV in their bedroom. Most mattress companies and experts scoff at the practice of eating and drinking in bed. Also, if you have the habit of putting piles of books or bulky electronic gadgets on the bed, and if you’re doing your exercises in bed, you need to stop now. Putting a bunch of heavy items on the bed is not equal to your lying down on it. While your weight will be evenly distributed across the bed, putting a a pile of books, will press just one point, and if you do this repeatedly, you’ll cause the mattress to sag in that place. Spilling the water or juice and food will also damage the mattress and void the warranty. It will not only cause the appearance of stains, but, if not cleaned properly, it will most certainly lead to the growth of mold and other bacteria that can further deteriorate the construction of a mattress and your health as well. Many people do not realize that body weight can affect the longevity of their mattresses. Heavier people will exert more pressure on the mattress than those of the lighter build which can significantly reduce its functionality and its lifespan. Mattresses need to be occasionally cleaned and flipped over. They absorb a lot of sweat and other bodily secretions and a certain amount of dead skin throughout the night which makes them a perfect breeding ground for bacteria, fungi and dust mites. You have probably noticed that some of the older mattresses tend to smell funky, and this smell usually emanates from the dust and microbe build-up inside the bed. But, if your mattress is regularly cleaned and cared for according to the manufacturer’s recommendations, then it is likely that it will have a longer lifespan. The most visible indication that your mattress needs to be replaced is sagging. This symptom applies to all mattress types, as springs break down over time, memory foam gets softer, and the fibers in other materials compress, all of which eventually leads to sagging. You shouldn’t wait for a crater to form in the middle of your bed. Even minor sags of 1-2 inches shouldn’t be ignored as they can mean a lack of support for the most vulnerable parts of your body where it is needed most. Innerspring mattresses sag, and latex mattresses weaken over time. Foam and latex usually soften after a prolonged use. As a mattress starts losing its natural firmness, it also loses its pain-relieving property. People with joint problems and hip pain often suffer more when they sleep on older mattresses that have become softer in places over time. You should remember that a bed does become softer with regular use just like a high-quality leather shoe. However, if it becomes too soft and doesn’t provide you with the level of comfort and support you need for a quality night’s sleep, then this may imply that it is finally the time to get a new mattress. Memory foam is supposed to “remember” your body and your sleeping position but only to a certain degree. After you get out of bed, the foam should mostly return to its original shape. However, over time the cellular structure of memory foam breaks down thus becoming softer and losing its ability to bounce back and provide the same level of support. If your memory foam mattress has a body impression that stays long after you’ve gotten up, or if the impression is deeper than 2 inches, maybe it is time to replace it. Mechanical impairment can include visible breakage of the innersprings or the failure of airbed pumps. Mechanical damages in mattresses usually vary between different mattress types, but these above are visible damages. Adjustable mattresses, waterbed mattresses, and airbeds are more susceptible to damages when compared to memory foam or latex mattresses. People often realize that they need a new mattress when they suffer from back pain, stiffness and recurring aches all over the body. These happen due to the lack of support and comfort that the mattress is supposed to provide. Lumps and sags may prevent you from getting enough of a quality sleep, and staying up till late, tossing and turning to find a comfortable spot in your bed may be an indication of the lack of support. Additionally, old mattresses can sometimes worsen allergy symptoms. Frequent allergic reactions happen when the latex or the foam absorbs allergens over time and finally becomes saturated enough to emit them. In such cases, any movement can trigger the release of the allergens including animal dander, dust mites, and mold. Most importantly, if you sleep better on your couch or in the hotel bed, then it might be time to consider getting a new mattress. Click here to see which mattress type would best suit your sleeping style. Most mattresses do not last as long as you expect them to last because people do not take a proper care of them. So, what can you do to make them last longer? Regular cleaning can significantly prolong the life of your mattress and that’s why vacuuming your mattress at least once a month is highly recommendable. By doing this, you’ll get rid of sharp dust particles that can cut and damage the mattress over time. You should avoid using rollers on your mattress as this too can damage it and use your vacuum cleaner’s special attachments intended for cleaning upholstery instead. This will give you a stronger suction and allow you to reach and clean all the crevices and cracks on the surface of your mattress. It’s best not to eat in bed, but if you do, make sure to clean your mattress and remove any food crumbs as soon as you can. The longer you wait, the more insects and microorganisms these food particles will attract. Also, if you clean up the crumbs immediately, you’ll eliminate the chance they’ll work their way into the fibers. A good mattress topper can cost you a lot, but you will invest a lot more in a new mattress, so buying a topper to protect your mattress makes sense. It will protect the mattress and ensure that you use all its benefits to the maximum. It keeps sweat away from a mattress: body odor and pit stains are repulsive on an individual as they are repulsive on a mattress. You can end up voiding the mattress warranty, in case you don’t pay attention to the stains your sweat is forming on top of the foam or latex layer. A mattress topper helps prevent the sweat from reaching the mattress. It protect the mattress from dead skin cells: dead skin cells can be found everywhere around a household. Regardless of how well you take care of your skin, you shed tiny skin particles on a regular basis. Using a mattress topper will keep the dead skin away from the mattress. This will prevent the build-up of organic material and the growth of various microbes, and add a couple of years to the life of your mattress. It keeps the mattress smooth: mattresses can lose their shape over the years, but using a mattress topper may delay this. A mattress topper absorbs the pressure to a mattress to a certain degree and acts as an additional layer that protects the mattress underneath from sagging. Every type of mattress benefits from being rotated regularly regardless of its material or size. Although some manufacturers say it is not necessary, rotating helps promote even wear, while the lack of the same can make depressions and cause the mattress to become soft faster. You should rotate the mattress every two to six months, and this is particularly important for the first couple of years while you are breaking in the mattress. A good and quality mattress protector offers waterproof protection that guards against spills and accidents. 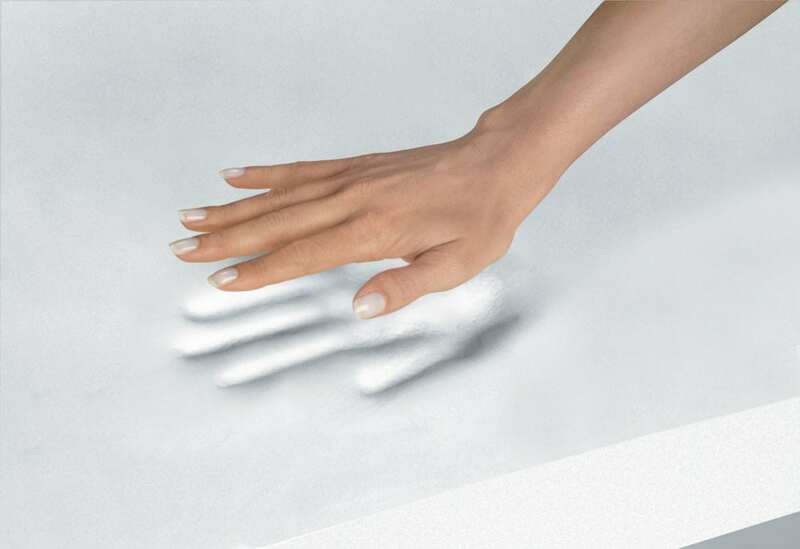 It can also prevent or at least reduce the amount of dust, sweat and skin cells that can find their way into a mattress. It will protect the materials inside your bed from damage, keep skin oils and sweat away from the mattress and significantly reduce the build up of allergens like mold and dust mites. A protector is also easier to be cleaned when accidents do happen, and many new types feel just as comfortable as a fitted sheet. Pets may be sweet sleeping companions, but when you invite them to join you in bed you’re also inviting a slew of potential germs, bugs, and bacteria into your bed. They are known to be the carriers of parasites, most commonly roundworms and hookworms, and by letting them snuggle in your bed, you risk shedding the eggs of these parasites that are usually in the pet’s hair onto your sheets. Besides this your pet will drag up dirt, mud, and food on the bed, accidentally spill juice, lotions, makeup and everything else nearby. Accidents happen, no matter how well you have trained your dog or your cat, they can end up peeing on the bed without you noticing, or chewing the mattress, etc. To prevent all these from happening, train your pooch to stay off the bed. Many people like to think that if a mattress comes with an extended warranty of 20 years, the mattress is likely to last 20 years as well. Two decades for a mattress is a ridiculous amount of time, and even if your mattress is showing little or no physical damage, you need to change it after a decade. In most cases, mattresses come with a ten-year warranty. Mattress manufacturers can replace your mattress if it sags or shows distinct indentations. The level of sagging that warrants a replacement often depends on the manufacturer. Some offer an alternative for mattresses that sag half an inch, while others do not replace the mattresses unless the sag is at least 1.5 inches. You can easily measure the dip of a mattress at home with the help of a piece of thread and a scale. Any other defects of the mattress cover that come straight from the package like broken zippers or loose threads warrant replacement from the manufacturing brand. A visible damage that is the result of the owner’s negligence or misuse does not warrant a replacement. This can include not using a box spring, not using a mattress protector and not cleaning the mattress properly. Any softening or sagging of the foam or latex layer that does not affect the mattress’ pressure distribution abilities. In multiple consumer reviews, we have noticed that people often do not realize the concept of non-prorated warranties and paid warranties. For example, if your warranty promises 20 years of service for your mattress, the first ten years are most likely to cover you completely for all expenses. For the next ten years, you will have to pay for the repair services or the replacement, and how much you’ll have to pay differs from company to company. When a company charges for a repair service ten years after purchase, they are not dishonest. These terms are always there in the warranty brochure, but the buyers often ignore them. All potential mattress shoppers should know that reading the manufacturer warranties on mattresses can save you a lot of money, but not reading the fine print can cost you a lot more. Buy only from reliable and trustworthy companies with well-established and recognized brands. Consult with their customer service representatives about warranties and potential costs. Check out consumer reviews on their websites as this will also help you predict the lifespan of your mattress quite accurately. Is either of you disturbed during the night from the numbness in your limbs or stiffness in your neck and back? Do you frequently suffer from runny noses, watery eyes and attacks of sneezes after going to bed? If your answer to all these questions is “yes” then it may be time for you make your next big purchase and get a new bed. 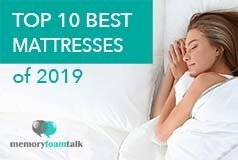 Click here to see our top 10 best mattress reviews and pick a mattress that would perfectly work for your specific needs and sleep preferences.